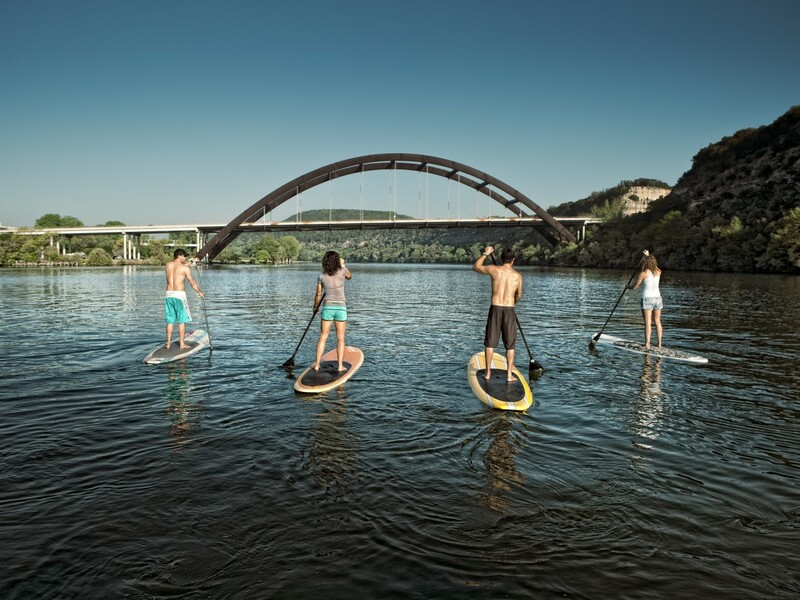 For a company that got its start crafting water-focused, toe-protecting sandals (that heavy black rubber toe cover is the company’s trademark), Keen has rapidly expanded into nearly every corner of the outdoor footwear market. 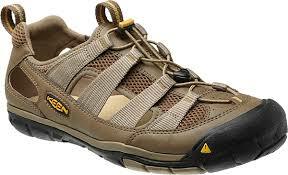 These days, you can get hiking boots, casual shoes and even work footwear, all with that comfortable KEEN fit and feel. The Gallatin CNX is where the multiple points of the company’s product line come together. Built like a sort of sandal-shoe hybrid, the Gallatin CNX is, according to KEEN, an “ultralight, full-coverage, go-for-it water shoe” that provides the benefits of a sandal in a package that can do more than your average strap-on footwear. Like a water sandal, the shoe features an “amphibious” rubber sole with flex grooves to provide sure grip on both wet and dry surfaces. It’s also heavily vented along the sides, so it won’t get waterlogged or slow you down when at sea. But, like a shoe, the Gallatin CNX also offers the support of a low-profile PU midsole that doesn’t feel anything like your typical sandal sole. And, in today’s sea of floppy Teva knockoffs and foam-slab summer footwear options, it’s a nice change of pace for those of us who can appreciate a real arch in a warm-weather shoe. There’s real support here. Still, given the sandal-inspired looks of the Gallatin CNX, I’m not sure how much wear time they’ll be getting away from the water. They just don’t look enough like a casual shoe to fit in for most of us. But as a secure, supportive water shoe/sandal alternative they more than fit the bill. 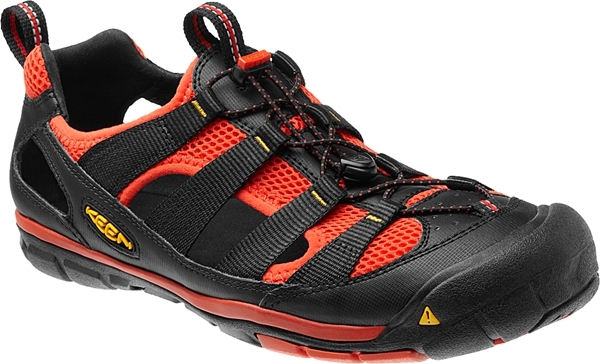 The Gallatin CNX is available direct from KEEN or from a wide range of footwear retailers. This entry was posted in Footwear, Gear Reviews by Tim Sprinkle. Bookmark the permalink.